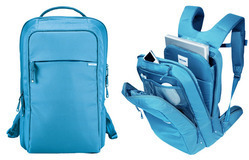 An extensive range of Nylon Backpacks are offering by us to the clients at market leading prices. High grade Nylon Backpacks are used in the manufacturing of these Nylon Backpacks. Also, we keep the various specifications of the clients in our mind while developing the range. These Nylon Backpacks are superior in quality. 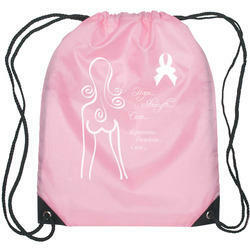 This sturdy 210d nylon drawstring sports is perfect for awareness events, schools, sporting events, parties and many other occasions. Using our rich business experience and expertise knowledge, we provide Nylon Backpacks to our customers. The Nylon Backpacks that we provide are made from superior quality nylon and stitched by using latest sewing machines as per the set industrial norms. Customers can avail them at pocket friendly rates. Wulf gear - Awakens your spirit of wilderness and at the same time equips you for the urban jungle. Wulf gear is crafted to last longer and manufactured using the best Korean fabric with world class components and accessories.